Sal Valentinetti is a crooner from Long Island, New York. From starting out delivering pizzas to appearing on reality TV to selling out shows across the country – his career continues to grow. 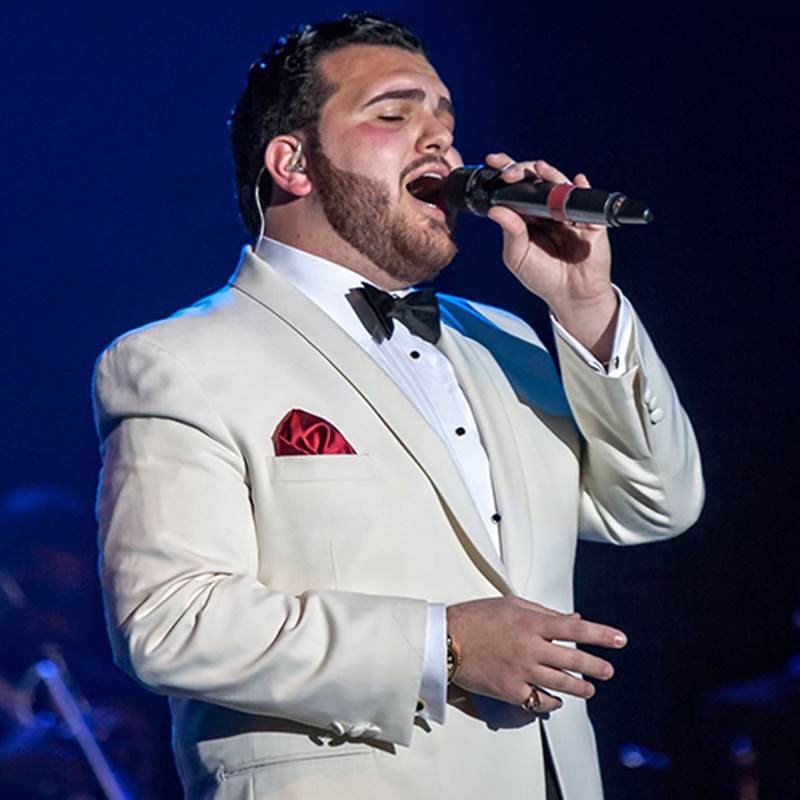 Born August 26, 1995, Sal was influenced early on by his Italian-American grandmother to love the musical genius of the classic crooner sounds of Dean Martin, Tony Bennett, and Frank Sinatra. Sal started in music by playing instruments that included the baritone horn, bass trumpet, tuba, and trombone. Ironically, the power of his voice was discovered by accident. During a horn lesson in high school, the instructor asked him to choose a song to play. He couldn’t think of the name of the song his grandmother used to play for him, so he started singing the lyrics to Bobby Darin’s “Mack the Knife.” Taken aback by his voice, the instructor immediately urged him to start taking singing lessons. With further encouragement from his family, Sal started to take his newfound talent seriously. In 2016, NBC’s hit show America’s Got Talent was taken by storm by Sal “The Voice” Valentinetti. His audition went viral and reached over 100 million views on YouTube. The then 20-year-old college student was now in the global spotlight. After belting out the classic Frank Sinatra hit, “My Way,” Sal not only received a standing ovation from the audience but was awarded the coveted “Golden Buzzer” from supermodel judge, Heidi Klum. As a finalist who reached the top five on the show, Sal later performed a holiday duet of “Santa Baby,” along with Klum. Since his success on America’s Got Talent, Sal has been touring the country and selling out venues of all sizes – from intimate jazz clubs to the legendary Madison Square Garden. He continues to win over the hearts of fans through his emotional and comical story-telling style performances. Additionally, he works closely with various charities by hosting food drives at his shows and donating portions of ticket sales. Sal was named “Restaurants Against Drunk Driving” (RADD) Man of The Year 2016 and served as the 2017 Grand Marshal of the Columbus Day Parade in Chicago. Sal Valentinetti released his first debut EP, The Voice and an original holiday single, “When Christmas Comes to Town” in 2017.